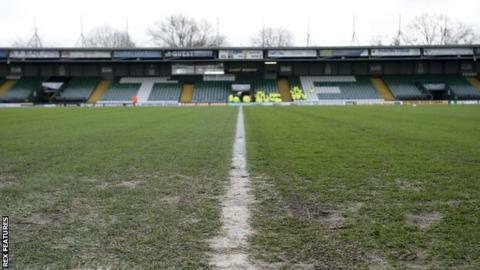 Yeovil Town have announced a loss of £692,000 for the year ending June 2015, as they were relegated from League One. That compares to a record £1.4m profit made by Yeovil in 2013-14, when they finished bottom of the Championship. The club currently lie 20th in League Two, 13 points clear of the drop zone. "These figures demonstrate the true cost of our relegation from the Championship and the size of the job we have in keeping Yeovil in the Football League," said chairman John Fry. "However, with Darren Way at the helm, we now have our losses under control and, not only does our Football League future look secure, the squad and club is being rebuilt back to winning ways."